Venus, the yacht that the late Steve Jobs commissionned before his death, is now free to sail, French newspaper Le Monde reports. According to lawyer Gérard Moussault, who represents Jobs’ heirs, his clients have reached a temporary agreement in their dispute with designer Philippe Starck. As you may remember, the high-tech ship had been impounded last week in the Netherlands over a reportedly unpaid $3.6 million bill. “A solution has been found and a security has been lodged on a bank account for the boat to be free to leave,” Moussault said. The amount of this payment remains unknown, though it doesn’t appear to correspond to the entire disputed bill. Originally costing more than €100 million ($132 million) to build, the vessel was completed in October, but Starck is said to have only received €6 million of a €9 million commission he considers to be owed for his work. According to Steve Jobs’ heirs, he was only supposed to receive a 6% commission based on the construction costs. 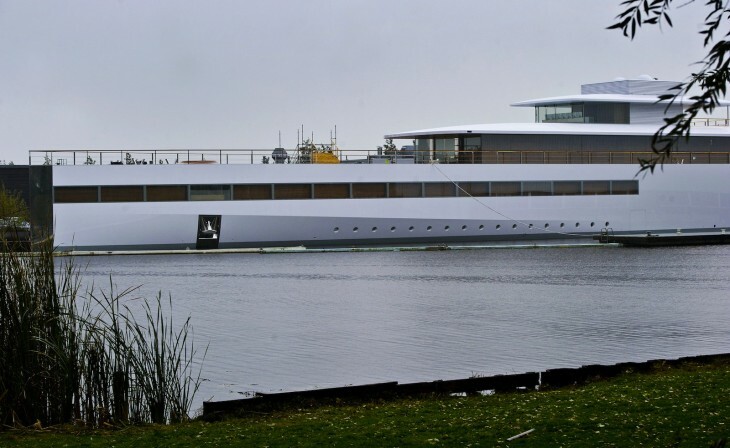 As Reuters previously noted, there “wasn’t a very detailed contract,” as the boat was built on mutual trust between Jobs and the designer, whose collaboration is mentioned in Walter Isaacson’s biography of the Apple co-founder.